Tool Blog News Something for the woodworking fan. Something for the woodworking fan. Marc over at TheWoodWhisperer.com has a pretty cool video blog that is all about woodworking. He basically guides you through his process for some of the things he builds in his garage shop. It is very interesting to watch. I actually found him through an email from Festool. I guess Festool is one of his sponsors. It must be nice. 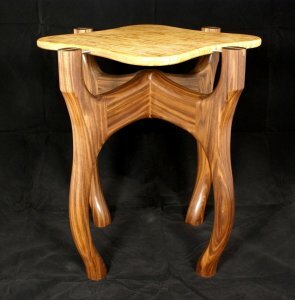 :) You should check out photos from his latest project; a very unique end table, and be sure to check out his videos.